Campers who are excited about the thrill of wake boarding or water skiing and serious about improving their skills will love this program. Campers receive individual attention and learn from experienced instructors. Campers will develop skills and gain confidence to take their skiing and boarding to the next level. Limited to 8 campers. Mountain Biking Masters Program $300 Per 2 Week Session Learn More This program is ideal for campers who are passionate about mountain biking and excited about riding world class trails on a daily basis. Campers ride every day on the single track trails and develop skills learning from experienced instructors. Limited to 6 Campers..
Payments made with a credit card will incur a 3% surcharge. Save money and pay with a check! Sibling Discount: Stone Mountain Adventures extends a discount to families who enroll two or more campers. The tuition of the second camper is discounted 10%. Stone Mountain Adventures "CamperShip" and Financial Assistance Partial ‘CamperShips’ are available to limited families. Each year we award partial scholarships to deserving kids who would otherwise not be able to afford camp tuition. To receive an application for financial assistance, please contact our office. Families must meet financial assistance criteria and aid is awarded in limited quantities. Wildflower Camp Foundation Wildflower Camp Foundation has grown out of the experience of one family in dealing with the loss of a parent and the subsequent years of recovery. The mission of the foundation is to provide scholarship assistance for summer camp and enrichment programs to families in which a parent has died. It is our belief that this opportunity can provide a restorative experience both for the children and surviving spouse in recovering from what is a difficult and challenging life crisis. Summer Search The mission of Summer Search is to identify low-income high school youth who demonstrate resiliency in overcoming hardship and the desire to help others. Nurturing those qualities over time in students who have often been neglected allows them to become empowered future everyday leaders. Our ambitious mission is accomplished through a program that combines full scholarships to summer experiential education programs with intensive long-term mentoring. This program is for campers who are excited about the thrill of wakeboarding or waterskiing and serious about improving their skills. Participants can ski up to three sessions per week and may participate in one specialized clinic. Experienced instructors will assist campers in building confidence, having fun and developing valuable skills so they can take their skiing and boarding to the next level. 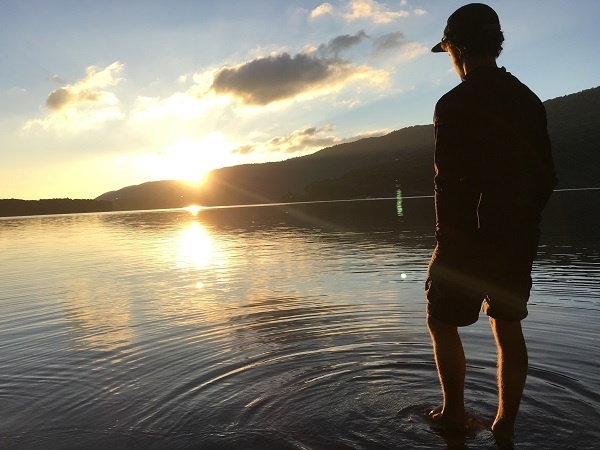 The WAKEMASTERS PROGRAM is open to beginners through advanced skill levels and, to ensure quality, is limited to eight campers. Our Horsemaster Program is designed for the rider looking to dedicate a large portion of the summer toward improving his/her riding skills. Campers in the Horsemaster Program will ride every morning and choose a different activity in the afternoon. Horsemaster campers have the opportunity to be a part of the stable management team helping to feed and care for the horses. Beginning riders develop skills and confidence while advanced riders are challenged on the flat, over fences, on the trail, or on lunge lines. Balanced seat is taught to all riders in order to develop a strong, effective seat doing flat work. Horsemaster riders may focus on jumping, cross-country, or dressage. This is a personalized and fun program! The Mountain Bike Masters Program at Stone Mountain Adventures is awesome! The sport of Mountain Biking is exploding in central PA with the building of the Allegrippis Trail system at Raystown Lake. This program is ideal for campers who are excited about getting the opportunity to ride world class single track trails on a daily basis. Campers are welcome to bring their own bike or ride one of ours. The MT BIKE MASTERS PROGRAM is open to beginner to advanced skill levels AND, to ensure quality, is limited to 8 campers. Please note that campers not enrolled in the Mountain Bike Masters Program will get ample time to mountain bike during their time at SMA.